We are excited to announce the availability of a new workshop designed to help companies make the transition from fixed, traditional office environments to more fluid, coworking-like officing strategies. We want to help companies re-think how, when, and where their employees work. Employee engagement and productivity are directly correlated with having choice, flexibility, and autonomy in how, when, and where they do their work. Additionally, when people in firms are ‘in motion,’ higher levels of interaction and collaboration become the norm, not the exception. 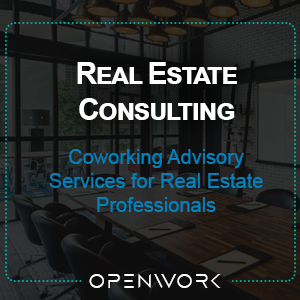 The workshop is intended to help companies understand and embrace the coworking model as part of how they manage the people and space in their business. The primary goal of the workshop is to help inject mobility, energy, collaboration, and innovation into your company. We strongly believe that the revolutionary benefits of coworking, as a modality of work, deliver these very things. Get in touch to start your own journey to coworking!